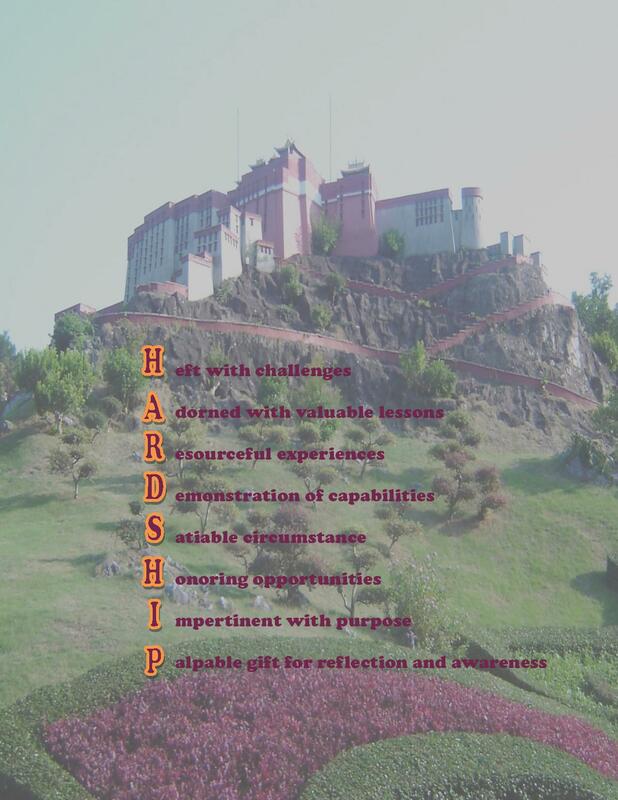 What is a hardship and how can it be accepted as a beneficial part of life? A hardship is perceived as a difficult situation to endure. Despite the discomforts a hardship awakens, it can be accepted as a beneficial part of life when it’s receptively embraced after the occurrence. A hardship may appear impossible in the moment, but it promises prosperous opportunities to explore. To maintain a motivated spirit for life, I enjoy accepting hardships as opportunities heft with challenges for learning. Welcoming the circumstances, I discover that every event is adorned with valuable lessons to decipher and encourages me to be resourceful for survival. Hardships are obscure and tempt me with doubts, but every pursuit inspires me to recognize the demonstration of my capabilities. Despite the influence it has on my emotions, hardships result into a satiable circumstance in my life and inspires me to honor every opportunity. Hardships provide wondrous guidance for self-discovery, appearing as impertinence but offering purpose. When a hardship is respected, it develops into a palpable gift for reflection and awareness. Release the preconceived thought that hardships are difficulties that make life tough to endure, embrace your opportunity and discover the many gifts life offers. A hardship commences as a complication, but the determination to pursue its objective unravels beneficial discoveries for living.